There is no room for challenge where you are comfortable. Traveling will push you to see and experience the world beyond the four corners of your home. You learn how to solve problems properly. Problem-solving skills in the real world is not something you learn from school. Instead, experience is the best teacher; experience gained when facing unfamiliar situations, people, and cultures even more so. You become more independent and self-sufficient. You won’t always have a tour guide there to hold your hand and lead you around. Sooner or later, you learn to trust yourself to make your own way in the world. You get a better sense of self. Traveling opens your eyes and lets you experience different things. The change in perspective can make you aware of the values you already have, and the values you have yet to gain. You learn it’s ok to not have it all figured out. Traveling teaches you when and how to stop and ask for help when you need it and accept that in order to move forward, you’ll often need some help from other people. You become more tolerant of others. Nothing beats being exposed to other cultures to make you better appreciate those who are different from you. Everyone is entitled to his own customs and beliefs, and you quickly learn to respect that when you’re out exploring the world. You get a better grasp of your priorities and become more practical. 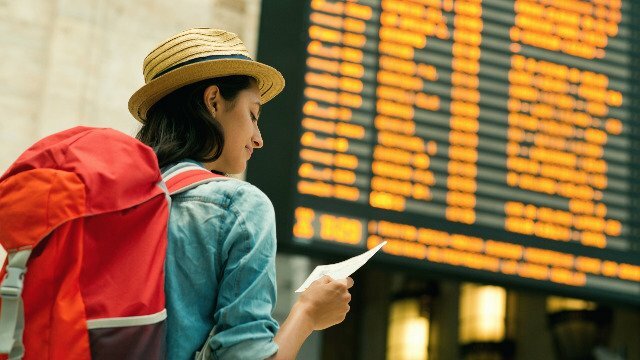 You learn how to pack only what’s needed, book flights and accommodations that fit your budget, and know when (or when not) to stick to your itinerary. You also learn to be smart about your resources, like using a credit card instead of cash when making purchases. It’s a safer and more convenient method for the solo traveler making his way around the world. Using your credit card can also make traveling easier in other ways. GetGo, a lifestyle rewards program, lets you earn points when using your credit card in your travel and everyday purchases. With your Cebu Pacific GetGo Credit Card, you can earn one (1) GetGo point for every P30 you spend. These points will be automatically transferred to your GetGo account, so you'll have an easier time redeeming free flights or booking trips. You can also get a bonus of 8,000 GetGo points if you spend P20,000 on or before October 31. These points can then be used to book round trip fares around the Philippines (check the website to see available destinations and fares). Promo is only applicable to those who apply for a Cebu Pacific GetGo Credit Card from May 26 to August 31. Register here. Find out more about GetGo on Facebook.